Setting up a new blog and then regularly posting high quality content can be considered a journey, and if you are ready to embark, we would be happy to assist you in this exciting new endeavour. Blogs can help you earn money, from enjoying passive income, earning through affiliate programmes to monetizing ad space and selling your blog. There are many ways to start a blog, but usually there are two kinds of bloggers – those who like to prepare everything in advance, and those who like to wing it, start blogging and then learn on the go. Whatever approach you choose will be up to you, but we are here to tell you what works. Instead of yearning to blog without any goal in mind, we suggest you at least get a catchy title and then checking if the domain is still available. The hardest part about starting a blog is probably naming it. 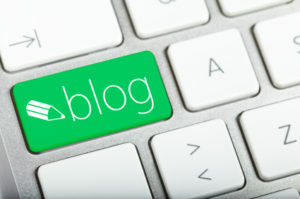 You would want to explain what you blog is about right there in the blog title, and that can be really hard. Especially if you already have a perfect name planned, and then realise that it’s already taken. After finding a name and a domain, set up your social media accounts to match the blog name as well. Even if you don’t plan on using all social media channels, you never know which one you might use in the future. It’s better to set up an account and squat on it so that somebody else doesn’t steal it later. Branding is important, and while you don’t need a professional website design from the start, it would be nice if you had a custom logo for your site. Scour freelancing platforms and hire a graphic designer with good reviews and portfolio to design your logo if you don’t or can’t do it yourself. If you want to test the WordPress platform and setup, you can use a WordPress.com that comes with free domain and is hosted by WordPress, but if you are serious about your blogging, we suggest you invest in a hosting package so that you have control over your domain and hosting. Free platform offers limited functionality and options, and you will have to pay to monetize your website, and until you do, WordPress will use your blog to place banners. These banner ads may not be relevant to your target audience, so it could put readers off. You should have a general idea about the topic of your blog before you get started, and chances are, somebody else is already blogging about the same topic. Do your research and find your direct competition so that you can analyse what they’re doing. If you notice areas where content or topics can be improved, use that knowledge when writing your next blog. Even though they are your competitors and you write about the same topics, you can have a totally different take or angle, and that is something that can set you apart. When doing research be thorough, watch their tone, note their blogging intervals, what type of content they are writing, and what is the message. It is preferable that you invest in a stock photo subscription, or to use your own if you can. All trends indicate that video content will only get bigger, and with tech advancements and better camera phones every year, you have the equipment you need to take unique shots. After all, promoting your blog on social media networks will be much easier if you have original content. Use tools like Canva to create unique visuals for your blog and social media posts. Set short and long-term goals, and create a content plan and editorial calendar. Stick to the blogging routine, because publishing one article weekly and pausing for couple of months isn’t going to bring favourable results. Moz has a distinctive format for their blog section, called Whiteboard Friday. You guessed right, there’s always a lecturer with a distinctive topic and he/she explains things written on a white board, every Friday. Try to find your own format that works for you and your readers. But, be realistic, don’t expect that success will come over night. Blogging is hard work, and if you do it right, it can be really rewarding. Have a certain amount of blog posts written so you can post them when you launch. You can even try to build awareness about your new blog on social media, and invite people to sign up via a landing page prior to your launch date. Research a couple of topics and prepare elaborate blog posts around them. Be sure to check your draft several times before publishing the final post! Spellchecker tools are available for free, and it wouldn’t hurt to copy and paste the last draft and catch a misspelled word with a bit of computer assistance. Once you have chosen your niche and have a couple of posts on your blog, you can create a free guide and offer it to people if they sign up to your email list. People like to get something in return – they are sharing their email with you after all – and they are inviting you to their inbox. Reward them by sharing your knowledge. It’s understandable that you are eager to start blogging and share your point of views, but any smart blogger will tell you that you need to listen first. You need to identify the trending topics, to find what people are searching for and then blog about that. Solve a problem or pain point. For example, we know that people who, like yourself, want to start a blog are interested in learning about setting it up, so we will blog about that and offer them a collection of helpful tips. Blogging isn’t really just blurting out what’s on your mind – it’s having a carefully prepared strategy, researched topics based on trends and helping people solve their problems with your blog. Our last piece of advice would be that you endure. Don’t give up, research, work on your blog, read up on various tactics and try different approaches to get more readers. If you need help setting up a blog for your brand or coming up with a content strategy – get in touch with our team!